Loose leash walking is one of the biggest frustrations dog owners have. When your dog pulls on leash, it’s not only annoying, but it can be dangerous – pulling you into traffic, off your feet, or getting away from you and running down the street. Dogs are not born with leashes and collars on; like all creatures they have a mind of their own and don’t understand why you think you should be in control of where they go. There is no such thing as a dog born walking nicely on a leash. So, in order to get them to walk nicely, you need to make walking next to you the best thing ever – better than chasing that bunny, sniffing that tree, or greeting that other human. It may sound impossible, but it’s actually quite simple! If you practice the following exercise and adhere to the rules, your dog can be walking politely on leash in no time! *This course is for dogs that are pulling their owners due to lack of self-control or who have never been taught to walk nicely at their owner’s side. This course is not for dogs that pull or act badly on leash due to reactive and/or aggression. Flat or martingale collar (no prong or choke) – I prefer martingales because they are “no-slip,” meaning your dog cannot back out of them like they can a regular collar. Harnesses also work very well. 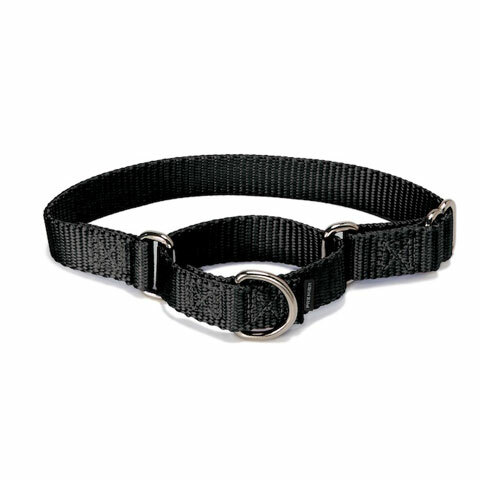 This is an example of a martingale collar. 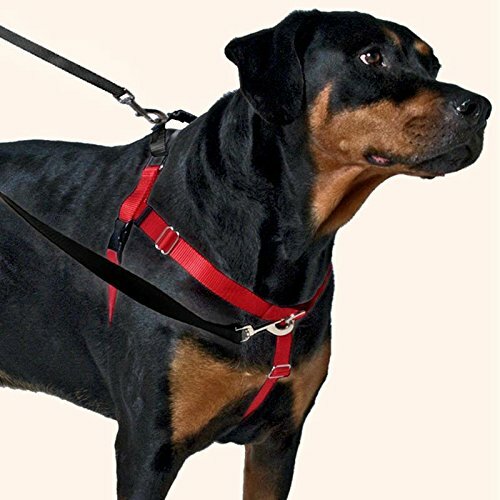 The Freedom Harness is the front-clip harness I recommend if you don't already have one. 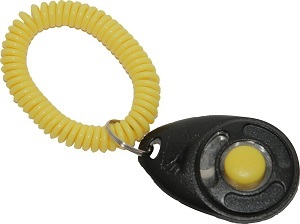 Wristband coil - helps keep track of that clicker and keep it handy! You can pick these up at most stores like Target or Walmart. Target stick - good for repeatedly rewarding small dogs and/or you have a bad back and can't bend over often. Karen Pryor makes a neat one that has a clicker built in. You can also just use a wooden spoon, spatula, etc.